Meres’s admiration, thankfully preserved in print, has helped scholars set a putative date for the play; if nothing else, it must have been written before 1598, and some year earlier—perhaps 1595—would seem to be an even more accurate estimate. 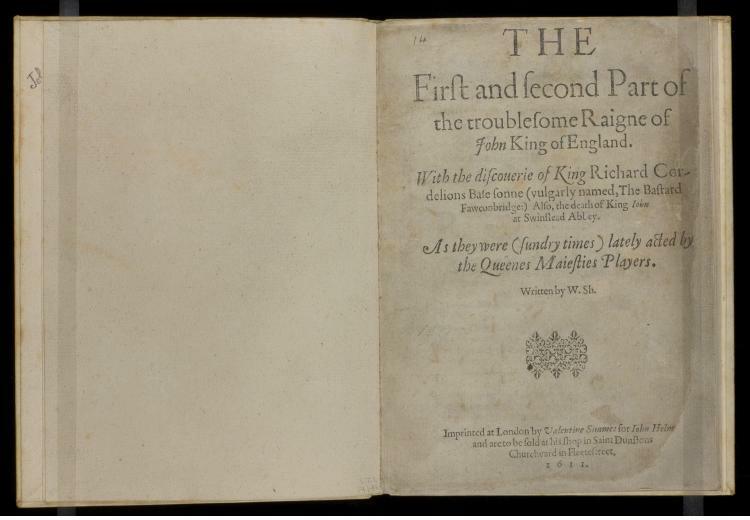 This was a year before the publication of the first folio of Shakespeare’s dramatic works, the collection that would offer the version of King John we read today. 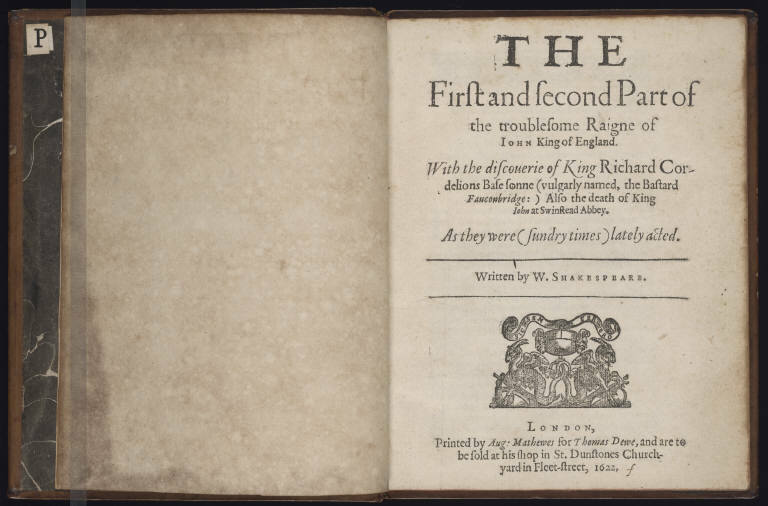 Still, these apocryphal versions of Shakespeare’s history play offer tantalizing, valuable documents in assessing the early modern afterlife of Shakespeare. If nothing else, there is something suggestive in them about what the name and the style of “Shakespeare” had become—a shorthand for writing worth reading.